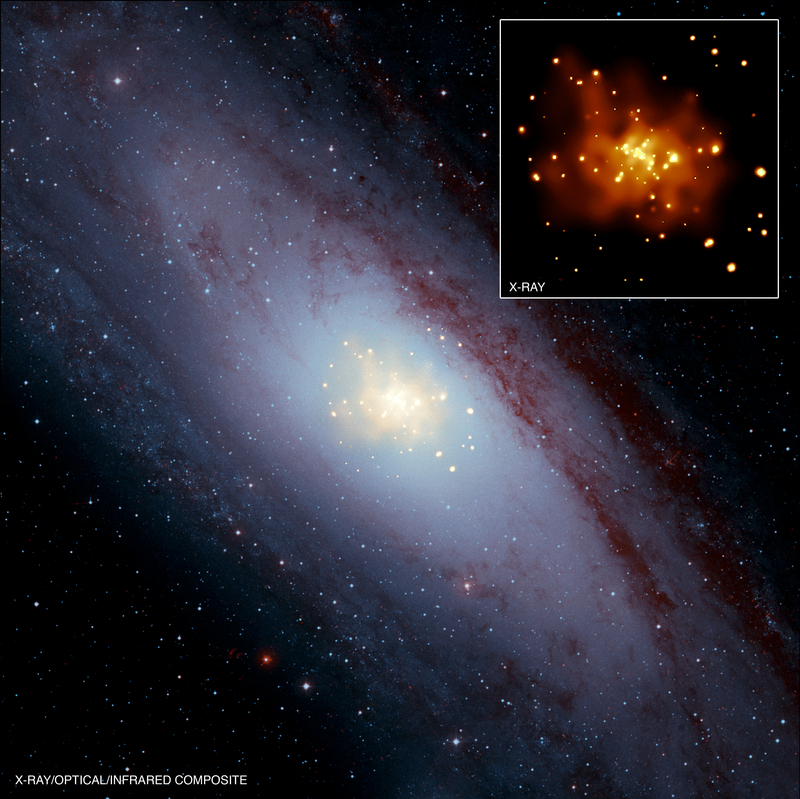 New results reveal the origin of some important explosions used to measure cosmic expansion. Chandra data suggest that main trigger for so-called Type Ia supernovas in some galaxies is the merger of two white dwarfs. 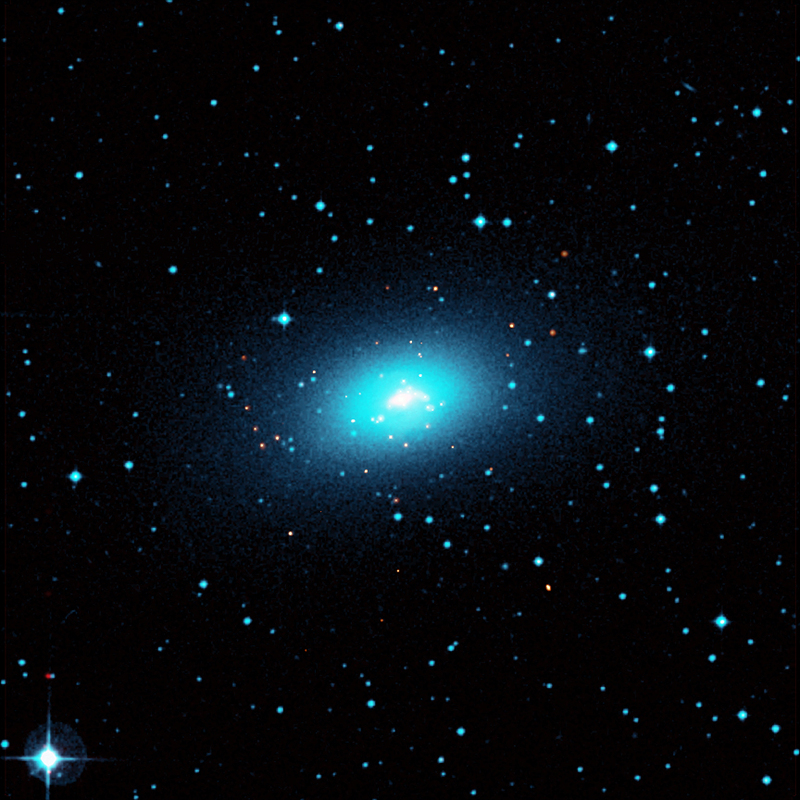 Scientists used Chandra to study six elliptical galaxies, and further studies on more distant spiral galaxies is needed. This composite image of M31 (also known as the Andromeda galaxy) shows X-ray data from NASA's Chandra X-ray Observatory in gold, optical data from the Digitized Sky Survey in light blue and infrared data from the Spitzer Space Telescope in red. 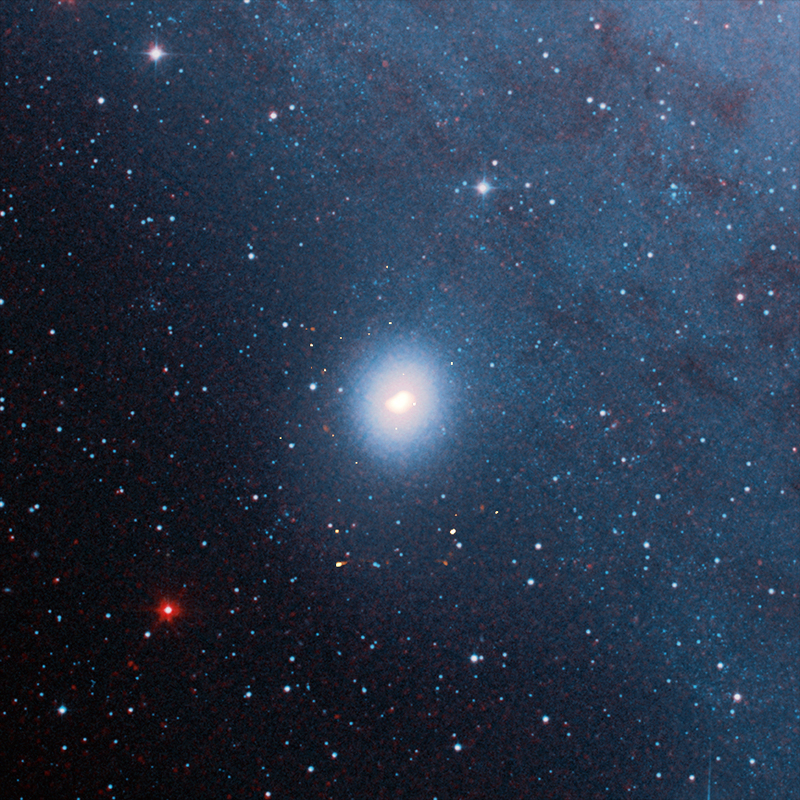 The Chandra data covers only the central region of M31 as shown in the inset box for the image (roll your mouse over the image above). New results show that the Chandra image would be about 40 times brighter than observed if Type Ia supernova in the bulge of this galaxy were triggered by material from a normal star falling onto a white dwarf star. This implies that the merger of two white dwarfs is the main trigger for Type Ia supernovas for the area observed by Chandra. 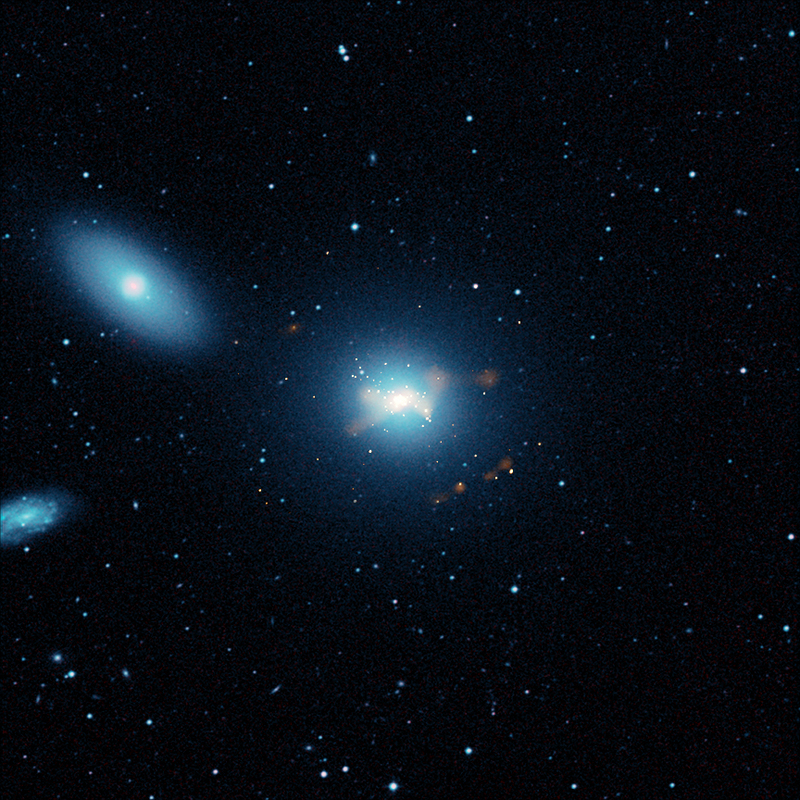 Similar results for five elliptical galaxies were found. These findings represent a major advance in understanding the origin of Type Ia supernovas, explosions that are used as cosmic mile markers to measure the accelerated expansion of the universe and study dark energy. Most scientists agree that a Type Ia supernova occurs when a white dwarf star -- a collapsed remnant of an elderly star -- exceeds its weight limit, becomes unstable and explodes. However, there is uncertainty about what pushes the white dwarf over the edge, either accretion onto the white dwarf or a merger between two white dwarfs. A Type Ia supernova caused by accreting material produces significant X-ray emission prior to the explosion. A supernova from a merger of two white dwarfs (view animation above), on the other hand, would create significantly less. The scientists used the difference to decide between these two scenarios by examining the new Chandra data. A third, less likely possibility is that the supernova explosion is triggered, in the accretion scenario, before the white dwarf reaches the expected mass limit. In this case, the detectable X-ray emission could be much lower than assumed for the accretion scenario. However, simulations of such explosions do not show agreement with the observed properties of Type Ia supernovas. 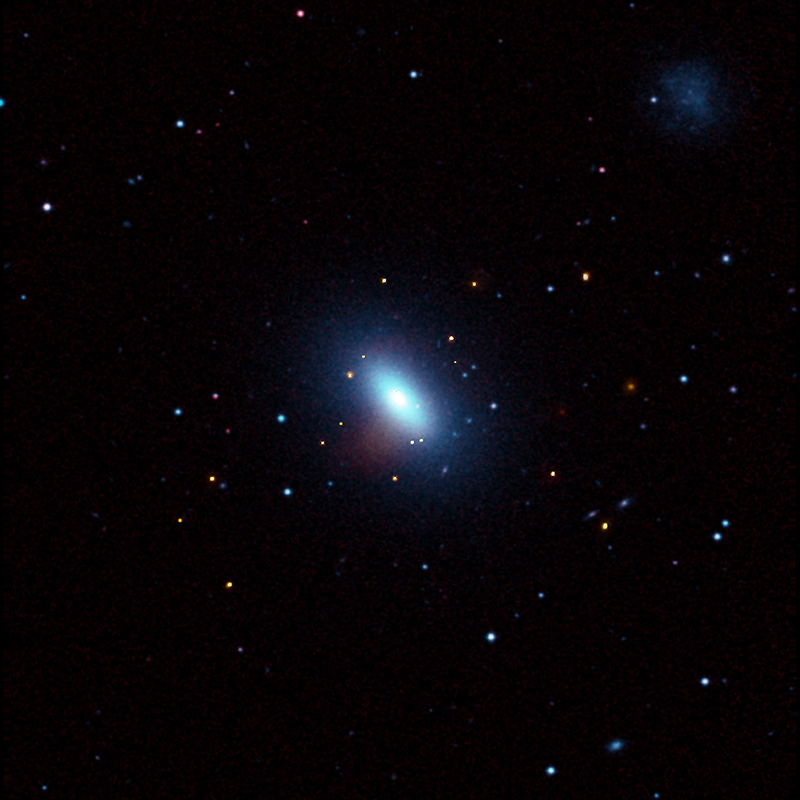 Scale Image is 60 arcmin across, (about 50,000 light years across). Coordinates (J2000) RA 00h 42m 44.40s | Dec +41° 16´ 08.30"
References M.Gilfanov and A.Bogdan, 2010, Nature, in press. A.Bogdan and M.Gilfanov, 2010, A&A, in press. 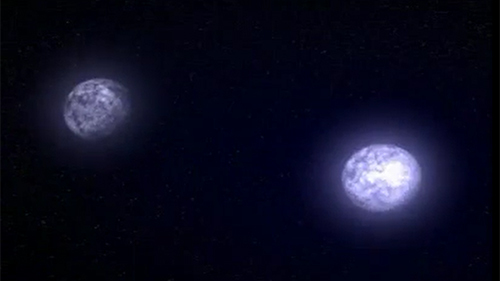 I am not expert, but wouldn't the total mass of the merging objects need to be less than 1.4 solar masses to prevent them collapsing into a neutron star? I always liked astronomy. Since childhood my father would take me outside late in the night when the sky was clear to show me the stars and constellations. It was something so exotic and fascinating for me. Nowadays I practice a totally difference specialty. However, my passion for astronomy is still remains. Cool, this really renews my childhood knowledge about the universe, galaxy and many more. Thanks to every individual and all that make this seen and known. Thanks for your beautiful imagination stirring pictures. So what if we can't space travel ala Star Trek with a strong imagination and intense concentration we can still be thrilled and that travels pretty far too. Fine job folks and full speed ahead. There isn't greater than Chandra in this field, try to see and enjoy your space travel. every enthusiast should be aware about it. Well, that's a bit weird. Sounds incredibly unlikely and I wouldn't say this evidence is really strong enough to draw that conclusion with particular certainty. I think we'd all like to see a lot more work done in this area which can only be a good thing. Obviously there's a long way to go before we'll know if this is right or not but it's still an interesting result. Hello, I like the SAO-CFA. Thank you for being alive for me to enjoy. Fascinating. Keep up the excellent work. Our nearest neighbor spiral galaxy outside of the Milky Way. About 2.9 million light years from Earth. X-rays from Chandra were overlaid on an optical image from the DSS and infrared data from Spitzer. About 50,000 light years across. X-rays are gold, the optical data are light blue, and the infrared data are red. In the constellation Andromeda, visible in the Northern Hemisphere.